500 Bright Red Plastic Event Wristbands. Our red plastic wristbands are suitable for so many different types of events. If you need to control admission at your event, or are having a multi-day event, purchase our red plastic wristbands. Choosing bright colors make it easy to identify your guests. Our high-quality plastic wristbands take only seconds to place on your guest's wrist and are a nice alternative to the typical Tyvek wristbands. 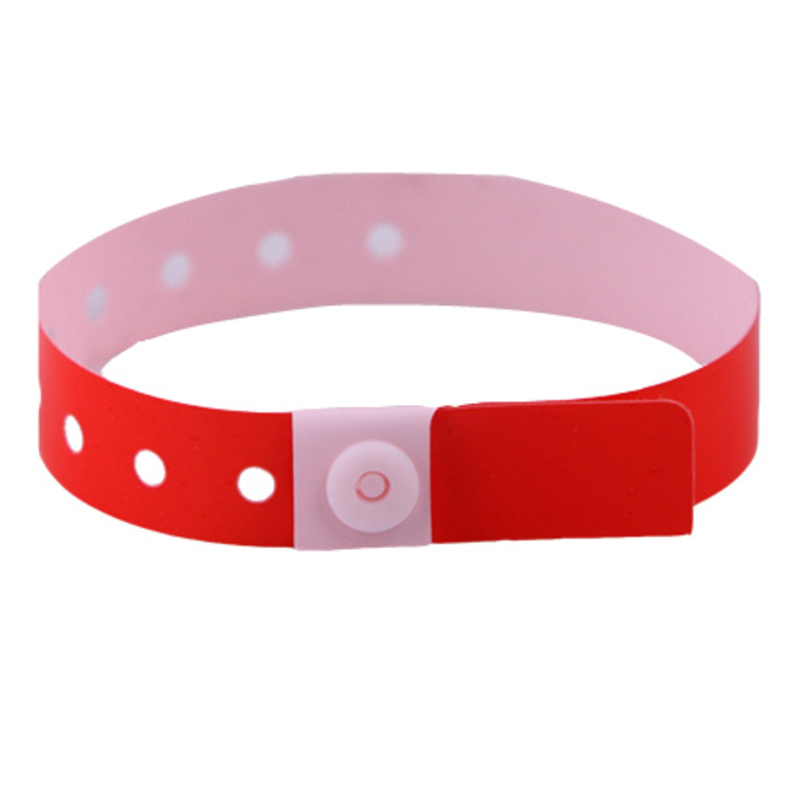 One size fits all, a special one-time use snap insures that the wristband cannot be transferred. Sold in multiples of 500. Pay for your order before 2pm ET and your wristbands will ship out the same day.